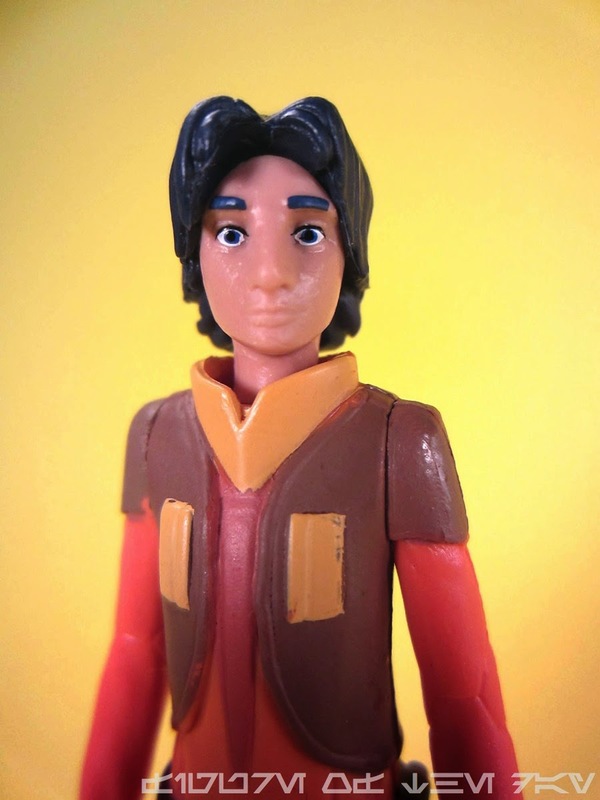 Commentary: I do not anticipate I will have warm fuzzies for Ezra Bridger after watching the show. The heroic young scamp isn't my favorite archetype, when I was a kid I was much more interested in the Lukes and Venkmans of the world, people my own age would not have been appealing role models to me. I hope he turns out well - the character was intended to be the same age as Luke Skywalker, but I was surprised to read on the bio that he's the exact same age. The fact that his weapon is a slingshot is, well, it's certainly cloying but it wasn't included here. Instead, he has two hands ready for weapons, but only sports a helmet from an AT-DP pilot. 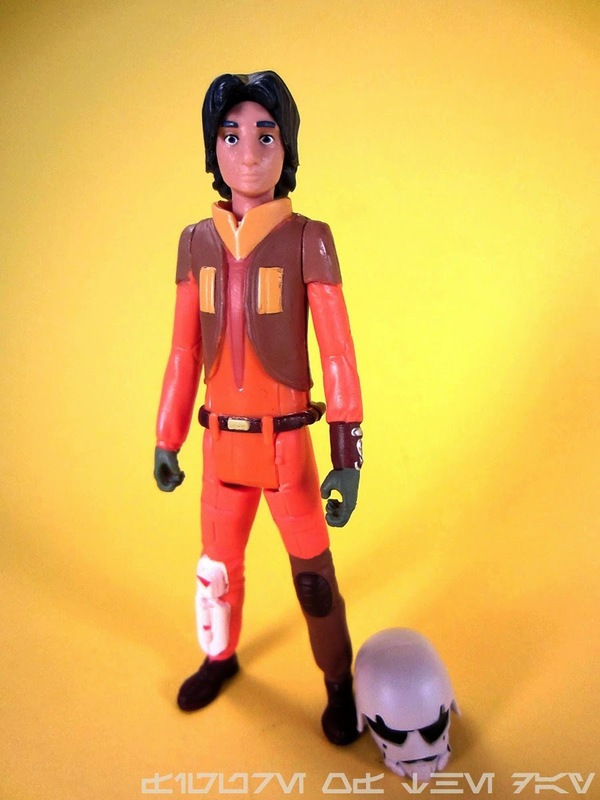 I absolutely adore the idea of a character that steals enemy hardware for a variety of reasons - because our collector ilk is represented, and because it makes toys interesting. It's expensive to make new ships - so why not let the good guys steal TIE Fighters and paint on a symbol saying "My other starship is also stolen" on the bumper? I like this line of thought. He's wearing a suit that is, to say the least, piecemeal. Let's say Punky Brewster meets Star Wars. 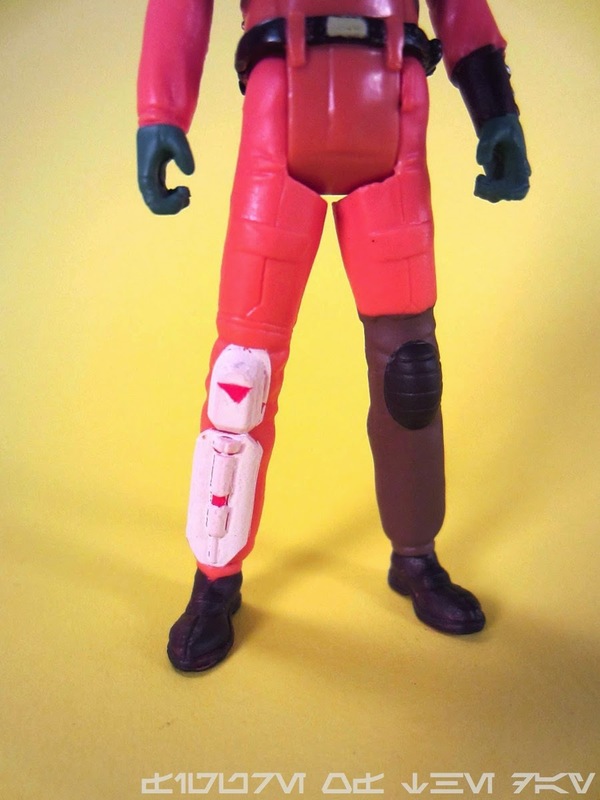 His right shin seems covered in McQuarrie-inspired Imperial armor, while his left leg seems like normal pants. 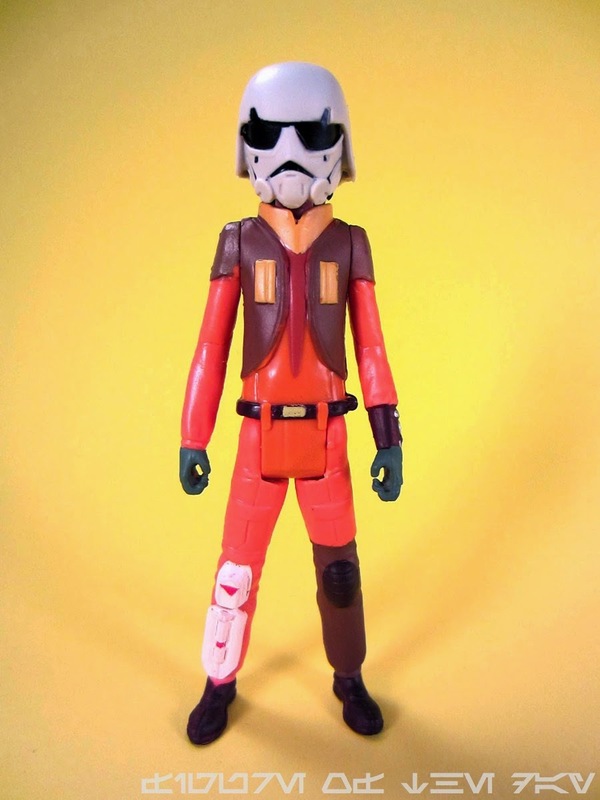 His orange suit recalls that of the future Rebel pilots, and the vest with sleeves... I have no idea if I should be reading into this one bit. 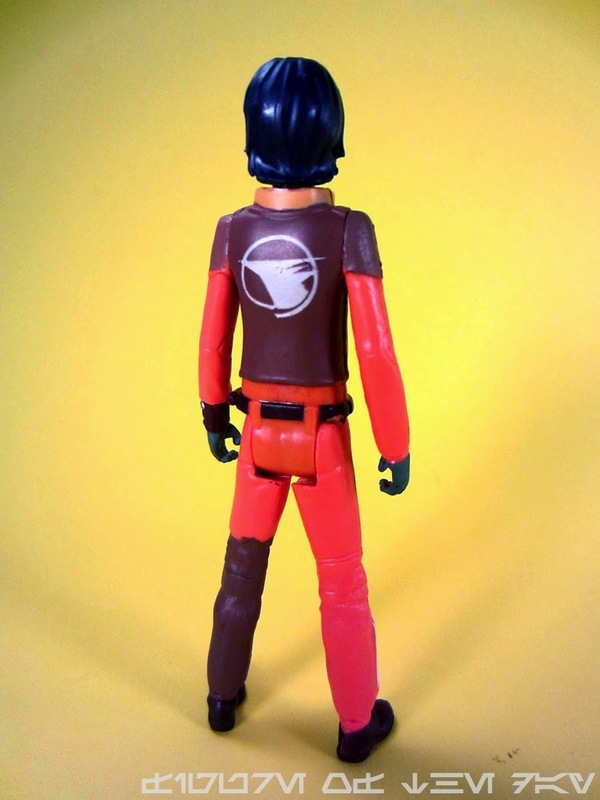 But the back of it has a swell bird-like symbol on it, and I'm surprised Hasbro is going through the trouble to make these figures look good from all angles. We don't get a ton of detail due to the animation style, but it seems the important stuff is all here. His left wrist has a communicator of some sort, with silver buttons and a brown cuff - it's nice. It's real nice. The helmet is a tight squeeze, but it fits. Actually, it fits Obi-Wan and Kanan more easily, but it will fit over Ezra's ample and wide hair without too much of a fuss. It looks similar to one of the Snowtrooper concept helmets, plus it has a fair amount of black deco and off-white plastic that should keep it looking good in the long term. The head sculpt matches the TV show renderings I've seen so far, so I'm going to say it's good because I haven't seen it in motion much. The dark black hair feels like it has hints of blue, and the face paint is pretty clean. I couldn't find a bad one in the bunch - the entire case of these looks excellent at the store. 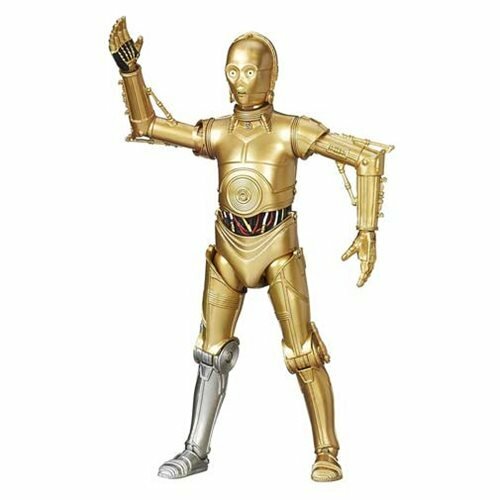 I am expecting this figure to be identical to the Saga Legends single-carded version, but we'll have to wait and see to know for sure. Regardless, buy this one - you'll want the bonus Obi-Wan, and the Kanan, so just cave in now and call it a day. 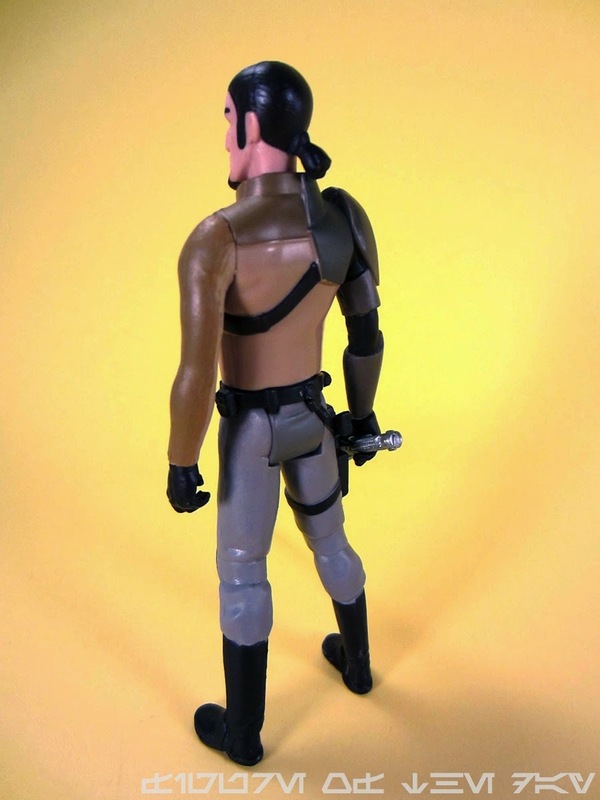 Collector's Notes: As far as I can tell this is the first action figure release for Rebels and potentially the first "stealth" action figure exclusive to hit before a formal announcement in quite some time. Kudos, Hasbro - well done sneaking this one past us. Please consider more introductions like this - I'll buy any multi-pack of upcoming figures with a bonus exclusive figure without a single complaint if they keep coming out before the basic, non-exclusive versions. And for the collectors - as this is the note section - keep in mind that Ezra and Kanan will be packaged individually in just a few weeks for about $6 each. 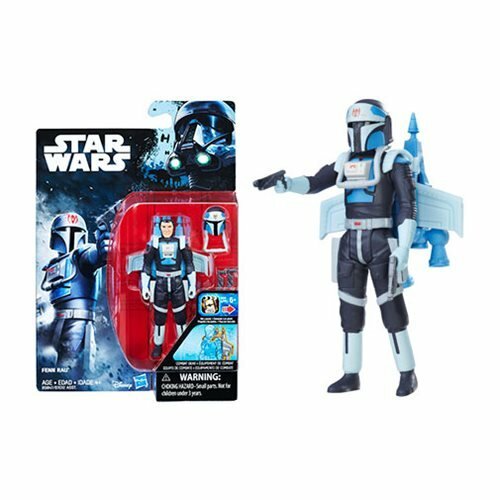 Kanan will also be bundled with the Phantom vehicle at Target. 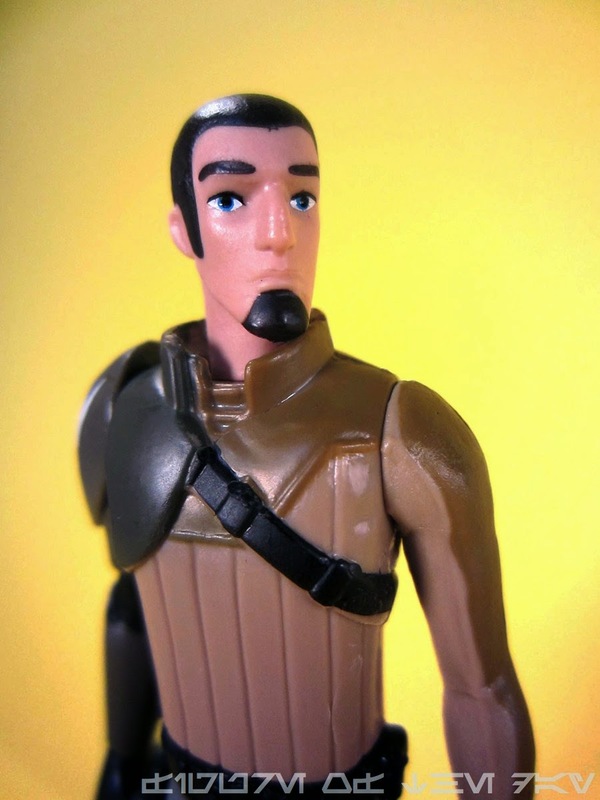 Commentary: I suspect that Kanan Jarrus will be identical when released again this year individually in Saga Legends, or in a Target-exclusive bundle with the Phantom vehicle. For now, this is his retail debut and as such that's a cause for celebration! It's been quite a while since we had brand-new Star Wars with an all-new cast and an all-new show. Heck, even the prequels gave us mostly existing characters in younger forms, so this is something of a minor miracle. I'm quite pleased with the results - seeing a few preview videos and nothing of the actual show, I love this figure. It's well done for what it needs to be, and I can only assume the details are what I think they are. Basically, what we have here is a mishmash of tributes of existing things. His right arm looks like it's wearing stolen and repainted Stormtrooper armor. The outfit looks a little bit like McQuarrie's Luke/Deak concepts. His head - and much of his look - reminds me a lot of Rahm Kota, albeit much younger. 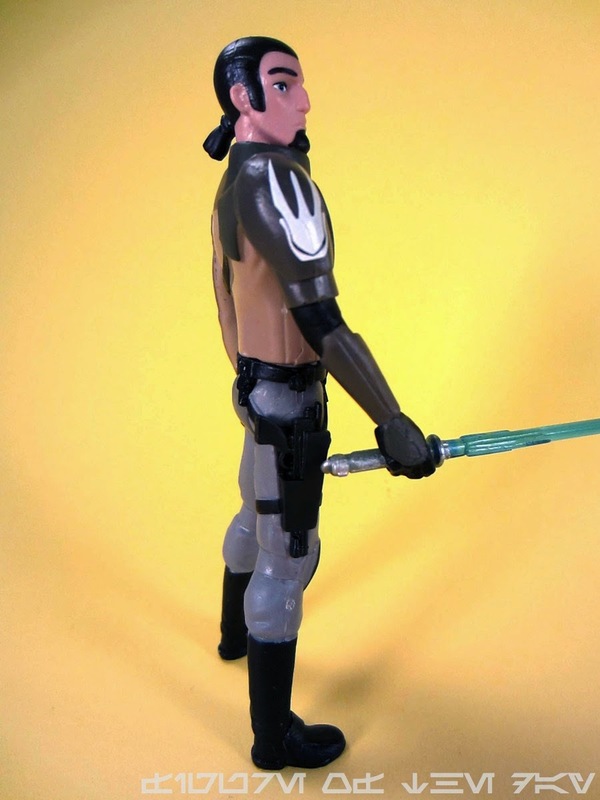 This figure just looks like a tribute to the now-excised Expanded Universe, which is kind of nice. The look and feel is nice to keep around. 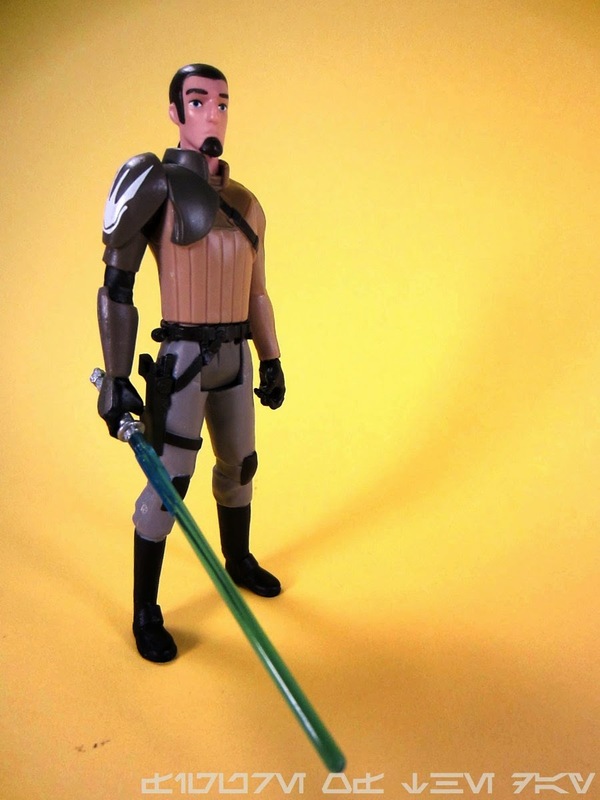 The figure's lightsaber is all new, and a single piece accessory - it doesn't pop together like on the cartoon. There's a blaster sculpted in his holster that is non-removable, and the deco is solid. Knee pads, boots, bandoliers, and all that jazz are black with grey, brown, more grey, and more brown covering the rest of his person. The head paint on all the samples I saw looked very clean, moreso than most recent figures we've seen in the various other lines. I couldn't find a single bad one in the batch, which makes me all happy. I should also note he has a symbol on his right shoulder, and like much of the art in the show it resembles a bird and also the Rebel symbol that I guess (chronologically speaking) doesn't exist yet. The joints work, and he stands well. He passes the Landspeeder Test(TM) for articulation excellence, so I suspect he won't give us many problems with the vehicles which I actually do not have yet but am super eager to try out. While it doesn't measure up to the collector standards of 2010, it does hold up to basic toy standards and as you know, that's what really matters to me. It looks good, it stands, it fits in vehicles, and it can hold his accessory. We're all good here. This figure is exclusive to the set and may be an exclusive mold. 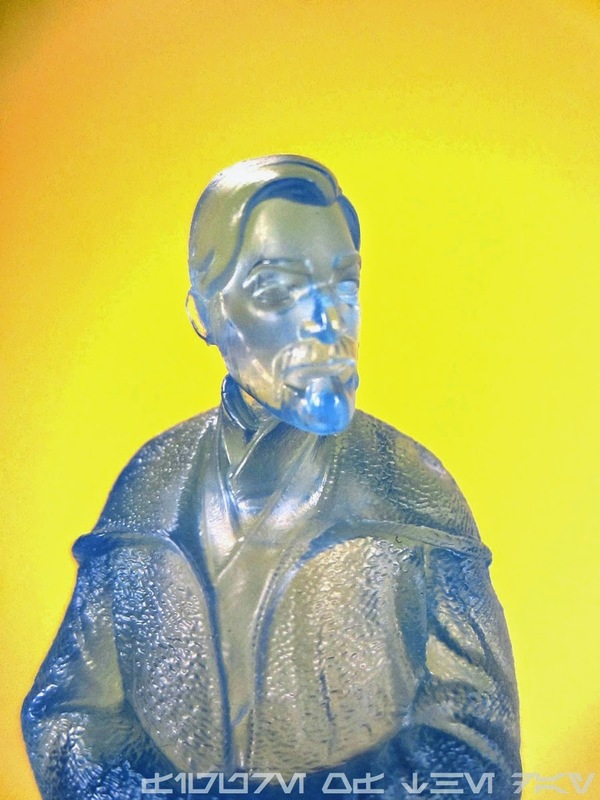 He's a great holographic figure - not the first Obi-Wan in this style, and probably not the last. 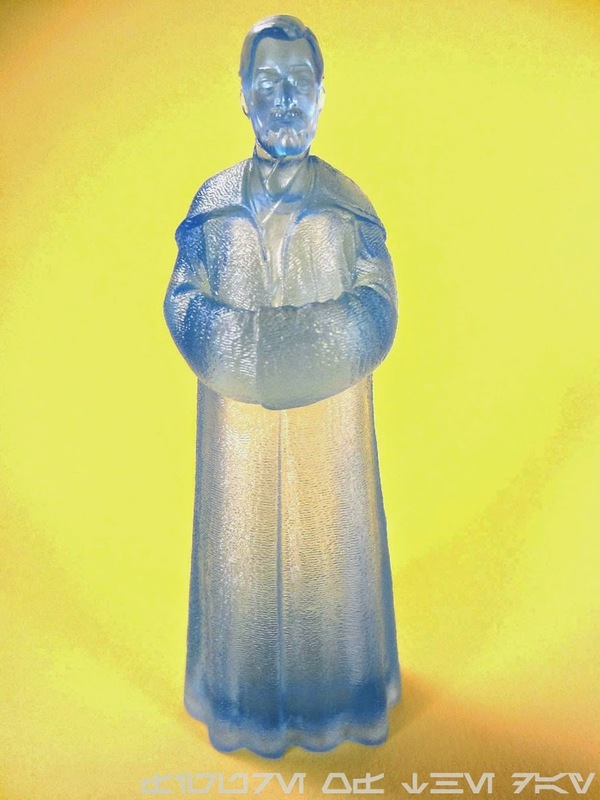 An Obi-Wan from Rebels is expected in Saga Legends in the next few months, and I assume the "salt shaker" mold will not be used - but if it is? It's pretty good. The articulated head is the only moving part on the figure, which has a wonderful pose and great texture. The head sculpt is, to say the least, lovely. You could use this in your The Clone Wars dioramas if you would like, and the figure feels light and hollow - a perfect texture for an ethereal communication figure. It doesn't do much but look good and be skinny - you'll hate me, of course, for saying I totally dig it. Hasbro did a real nice job here, and getting the mold as a holographic figure first makes me like it more. The "prepaint" is a concept more companies need to exploit because, let's face it, we'll buy both if you give us the lesser version as a new mold first. This creates demand for a "flesh" version, which we will also happily buy - while the reverse is not necessarily the case. For a small statue, it's delightful - especially if you (like I) had a coupon that was about to expire for 20% off last weekend. 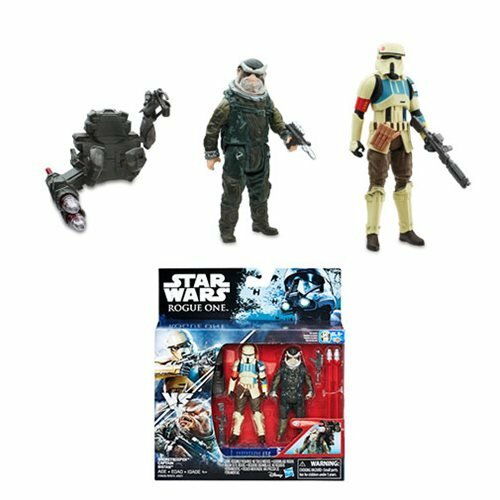 For $20, it's a stretch - a $10 "mission series" pack plus one bonus figure isn't worth $20, but $15-$18? Yeah, that's pretty good! 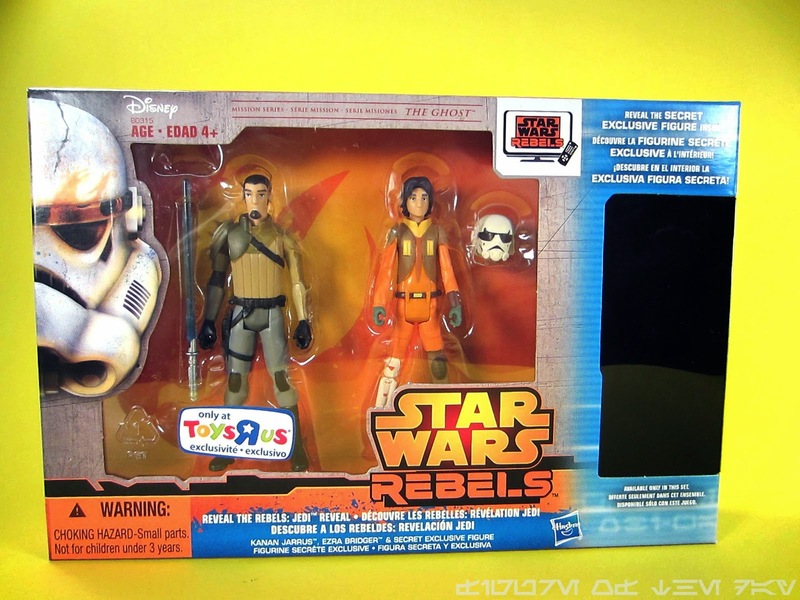 Also, because I'm a sucker, I'd pay dang near anything to get some Rebels early and I am quite happy with the set for what it ultimately cost me (for the record, just under $12 - thank you, store credit.) If you're just super-pumped for the new toy line (and ambivalent about the show itself) this is something you owe it to yourself to run out and get. I did - I hit up a few stores in between a record store run because all aging collectors will at some point turn their focus back to vinyl. Vinyl capes, vinyl music, it's just going to happen - but I digress.